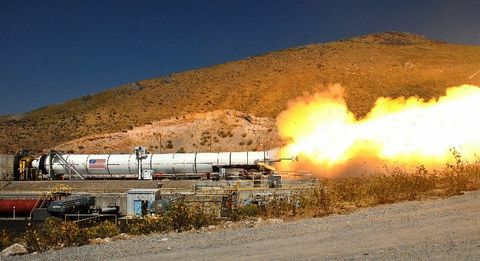 DULLES, Va., June 30 /PRNewswire/ -- Orbital Sciences Corporation (NYSE: ORB) announced today that the United States Naval Air Systems Command has awarded the company an Engineering and Manufacturing Development (EMD) contract for the Supersonic Sea-Skimming Target (SSST) system. The Navy awarded Orbital the contract to meet its requirement for an affordable SSST to simulate anti-ship cruise missiles for fleet training and weapon systems research, development, test and evaluation. The contract, which is administered by the Navy's Aerial Targets and Decoy Systems Office, is initially valued at $34 million, with EMD-phase and production, deployment and operational support-phase options valued at $76 million. The contract calls for Orbital to develop, integrate and test the SSST system and to conduct flight demonstrations of six vehicles in the spring of 2003. The optional portion of the contract includes SSST vehicle production and launch operations support for the Navy's test exercises of up to 90 operational systems through 2006. 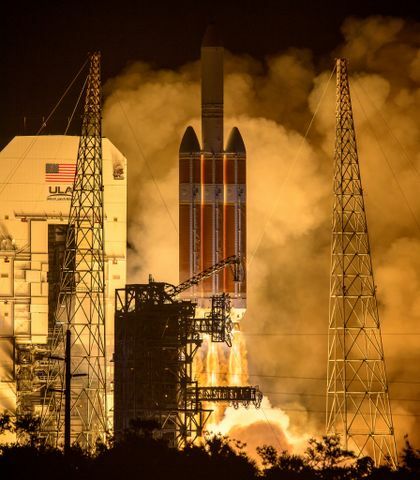 Mr. Ronald J. Grabe, Orbital's Executive Vice President and General Manager of its Launch Systems Group, said, "The SSST award represents a major win for our launch vehicle business. The SSST program significantly broadens the scope of our target launch vehicle products from ballistic missiles for the country's Theater Missile Defense and National Missile Defense initiatives to supersonic, low-altitude, air-breathing cruise missile targets. We currently support the Navy with ballistic target systems for its Navy Theater Wide program, and look forward to building on this already successful relationship with the SSST program." Orbital's SSST design integrates a solid-fuel, ducted air-breathing rocket propulsion system into a compact missile airframe 18 feet long and 14 inches in diameter. Launched from Navy test and training ranges, the vehicle will achieve cruise speeds of Mach 2.5 while flying less than 20 feet above the water's surface. Orbital will develop, produce and test the SSST vehicles at its engineering and manufacturing facility in Chandler, Arizona. Mr. Michael J. Bender, Senior Manager of Business Development for Orbital's Launch Systems Group, who led the company's 25-month effort pursuing the SSST contract, added, "We applied Orbital's launch vehicle design philosophy of high performance, minimal risk and low cost -- an approach well- proven on our Pegasus, Taurus and Minotaur space launch vehicles and numerous suborbital rockets -- to provide the Navy with the best possible value for its SSST target missile. This contract win underscores Orbital's leadership in developing and producing innovative, cost-effective launch systems. It also positions the company for future growth in supersonic air-breathing launch systems." 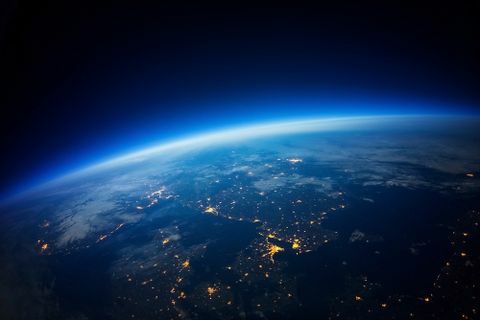 Orbital is one of the largest space technology and satellite services companies in the world, with 1999 total enterprise revenues (including revenues from unconsolidated affiliates) of about $915 million. The company, headquartered in Dulles, Virginia, employs about 5,500 people at major facilities in the United States, Canada and several overseas locations.